"The decline of modern civilization continues." Cul de Sac Blues is a continuing series about life in a suburban cul-de-sac. Follow the ups and downs of day-to-day life and meet the various characters who inhabit this peculiar piece of the suburban landscape. Cul de Sac Blues has not been tagged yet. 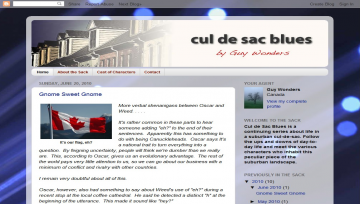 Help others find Cul de Sac Blues by tagging it! Cul de Sac Blues has not been reviewed yet. Cul de Sac Blues has not been recommended yet.